We use these for commercial gardening, so they get a lot of abuse! They are tough and long lasting. 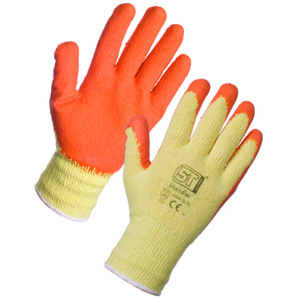 The product is used for mostly gardening and other out door jobs. Use the product for a wide variety of tasks including gardening and building jobs such as roofing and bricklaying. Good hardwearing layer of latex and much better than similar gloves bought previously from another supplier.